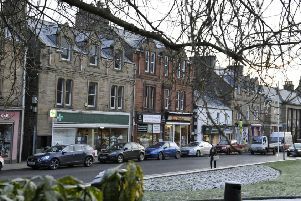 A Hawick man will be sentenced next month for breaking into a flat and stealing clothing. Martin Charlotte, 31, pleaded guilty to carrying out that housebreaking in Lothian Street in Hawick on October 11. On the same day, he attempted to break into Hunter’s bakery on Hawick’s Lochpark Industrial Estate with intent to steal. Charlotte, currently serving a prison sentence for another offence, also admitted stealing a bottle of vodka from Hawick’s Croft Road B&M Bargains store on September 11. Background reports have been ordered, and the case will recall at Jedburgh Sheriff Court on April 16.